At present, INTEL and AMD are two brands that dominate the market for processors. This first is a multinational company which manufactures microprocessors and integrated circuits, specialist, auxiliary integrated circuits for computer motherboards and other electronic devices. Currently is the most demanded in the market, well ahead of AMD, which is not to say that this is most backward, on the contrary, the Californian brand comes stomping very lately. 1. What is the recommended and most powerful processor? Intel is approximately an average of 10% more powerful than AMD, something that is certainly one of the factors that we are most interested in. This last numeric data has contrasted between more than 20 studies by the web, which demonstrates that, comparing processors of both brands with the same characteristics, Intel makes its performance a 10% higher than its rival. In this question the answer is obvious, being AMD the winner clear, given that its most powerful processor to date round the €400, something that is very interesting when it comes equipped with a new computer. Unlike the latter, the more powerful Intel processor is approaching a whopping €900, more than twice as much as his opponent. This makes us think and ask if there is such a difference in price and performance, something that, depending on the processor usage, will be considerably notable really. I advise the brand AMD, given that, to this day, very few users can afford to pay€ 1000 processor, when less than half can find a very high-end AMD processor. Intel is 10% faster on average than AMD, but it costs 300% more, while AMD still only 10% less potent, costs 300% less. Personally, if your purpose is to video games, there is no doubt that INTEL will be your most reliable partner and better performance than you of. 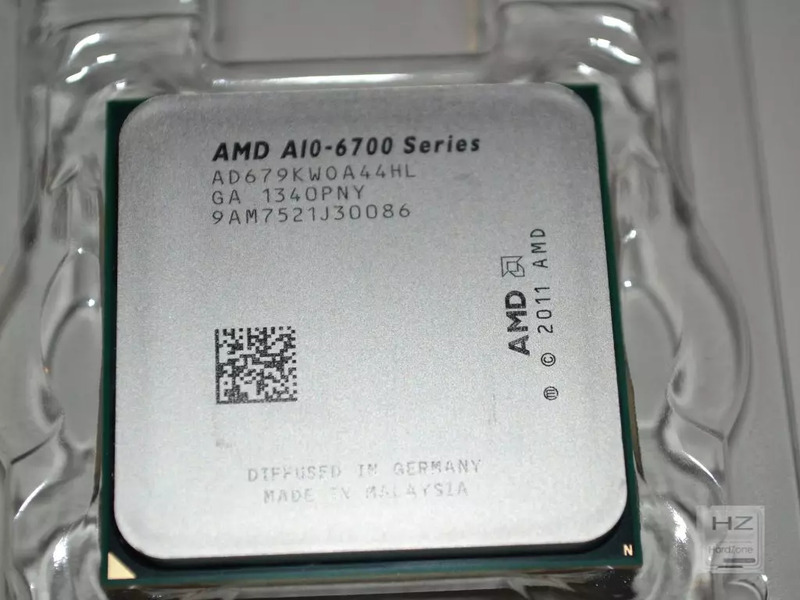 However, AMD processors for gaming continue to evolve, and today many computers have installed these processors and can also be used to play, having a limit lower than the rival. Also worth mentioning, video games taken recently and that not many take, will be in the market, they require a powerful processing and graphic image, so I turn to insist, that INTEL has most likely to be chosen for the gaming community. When choosing a processor, you should know to differentiate the use you want to give to the use that you are actually going to give. I have personally been the victim of wanting to have the best processor that exists even though its high price. Actually use that is going to give is not even half of what you want, given that user, I again urge in the claim of get a processor brand AMD, since performance will be more than optimal. If we think at the level of enterprise, medium or high, which are carried out works in those who need a powerful, and which count to the last second, then Yes, I recommend INTEL, given that very likely, 99%, not you will fail. As we can see the price is very uneven, almost 6 times less. AMD processor frequency is higher than the INTEL processor, but it leaves us a fact of great importance, which is the clock multiplier. It has 25 data on AMD processor, unlike the INTEL processor that has a 35 clock multiplier. And what is that the clock multiplier? Well, the multiplier is he who gives the exact speed. Configuring the FSB (front Serial Bus) which corresponds, will give us a rate more or less. I.e., when bigger processor multiplier less peak speed will have, with which possess more stable speed. I hope that the post you served help and that you have in mind some of the factors that I have proposed here. You Forgot to mention the Support of RaM of the two Types of CPU you compared. AMD isn´t able to support DDR4 at the Moment and will never be Until it gets its new Socket AM4 which is planned but not stated when it will be released. While Intel is capabel of using it in its full Potential. This is a big point if you Plan to build a Strong PC for RaM eating Games or heavy Graphic Operations. You know the old saying, you get what you pay for. Of course AMD is cheaper as its a cheap CPU. I have burnt out more AMD's then Intel. This is a debate that has been going on since AMD first came out. You will get people arguing this and arguing that about each chip. Theres been arguments over which is faster. I can tell you this from working in computer repairs for a decade now. Replace more AMD chips then Intel. To this day, I think I have only killed on Intel chip. I also think the prices listed at way to high for just a chip. I also know, that when you a buy a computer with an AMD in it, its not much cheaper then the Intel version of. AMD is much better in my opinion for your money atleast, But if you want gaming quality, Nivida*** It is the absolute best in my opinion and rns the best. (07-07-2016, 06:21 PM)bigbubu01 Wrote: AMD is much better in my opinion for your money atleast, But if you want gaming quality, Nivida*** It is the absolute best in my opinion and rns the best. Welcome to Gigarank dude. The comparison in this thread is AMD and Intel. Not sure what your point is. PS: You need to make 10 quality posts for a shared hosting account. The emphasis being on quality. Please try and take better care of the posts you're making. (06-25-2016, 12:05 PM)pinsipans Wrote: You Forgot to mention the Support of RaM of the two Types of CPU you compared. When AMD releases the Zen processor, this will support DDR4. Honestly, I have not seen much difference between a DDR3 versius DDR4 ram. I am sure this may stir the pot a bit, but I am being honest. I have ran benchmarks after benchmarks, although ddr4 is a bit higher it is not enough for me to jump. I run AMD because it's not funny when I slice 2 core from i7 for virtualbox. I rather have 8 core of CPU & slice 4 for virtualbox & keep other half 4 for main OS. Since I also use Linux I even have many heavy reasons to run AMD. Honestly, this post is only comparing the clock speeds, which isn't a good basis for comparison. If I put the two processors to the same synthetic workload, the i7-5930k will quickly spin circles around the A10-6790K. Also, you do NOT have to actually buy the said i7-5930k anyway. For most users, an i5-6600k tops is what they need. Even that spins circles around the A10-6790k anyway. (10-20-2016, 07:53 AM)CHT Wrote: Honestly, this post is only comparing the clock speeds, which isn't a good basis for comparison. If I put the two processors to the same synthetic workload, the i7-5930k will quickly spin circles around the A10-6790K. Yep, Intel is definitely faster even they've 8C/16T already still they're faster than Zen that coming. I've aim AMD Zen as cheaper & more space workload reasons just like the ram size reason rather ram bus speed. AMD is like a truck it can't be faster than car like Intel. Able to catch up to half speed of the car & able to pack more resource is already enough for me. If AMD Zen that faster I don't think I'll happy about it because the CPU price will be super expensive rather than cheap. I was a big fan of AMD until I found that recently they don't seem to be that reliable anymore. The processors are dying after a period of time. This doesn't seem happen to Intel though. Even the low end celerons and pentiums seems to go forever provided you have a good motherboard and power supply. But AMD has a good APU which had a very good built in GPU which is far far better than what Intel has to offer. So if you are looking for a system which is cheap and you need it for a small period of time (say around 3 years), then go for AMD, otherwise go for Intel. my legend AMD fx8350 still kicking well....never had problem.. I have an AMD Phenom II X6 1100T with 8gb of ram since 2011 and is on all the time, he never had any problems, the only update I did was put a cooler (Cooler Master: V6GT). Before the Phenom 2 I had a Core 2 Duo with 2GB ram, then go for a 2-core machine for a 6-core with more memory ram was very good, and also decided the price, get a beefier AMD it was equivalent to a I7 instead of having an I5. (06-24-2016, 02:15 PM)DavidSpain Wrote: At present, INTEL and AMD are two brands that dominate the market for processors. AMD processor, may be incompatible with the Intel processor. with the other hardware, are sometimes useless. and then compare everything else. and they also do well but not like the true power of 64bit proccessors. Would like to see the performance of my db then. but my main stay was always Intel, but that was a microscum thing I think. Hence the Arm proccessors I am playing with. Compatibility between both are still possible. After all, you don't code for the bare metal, and instead code using a compiler(x86 or x64) that works for all processors. So compatibility as an excuse is a no go. True, but generic(x86 or x64) is a broad flavour of coding, but this would be the diffrent for writing code for the masses and writing code for a specific purpose and remove all the other clutter that is not required. like a post of security on your systems, why load portions of code if you are never going to use it. but still the microcode behaves diffrently from proccessor manufacture. So i just trashed the idea. AMD provides cheap price that competes evenly with the Intel chips. Though intel mostly and always got more better performance than AMD. Just my own thoughts. (12-02-2016, 06:12 PM)Sync Wrote: AMD provides cheap price that competes evenly with the Intel chips. Though intel mostly and always got more better performance than AMD. Just my own thoughts. Depends on which chips you're talking about here, as well as the country. For the most part, Intel's 6th gen stuff best all of the AMD stuff for the purpose you expect from them, for around the same price. Unfortunately Intel has always pioneered the CPU market, to the point that most other compiditors who only did CPU development eiher went belly up or got bougt out and project we shut down or scaled out of the market, Yet AMD has always managed to be there all the way, but the also do a large variaty of other modules. Intel yet again has now pioneered a garenteed future, just a few weeks ago they upstreamed the AI. "The end is nigh" "Monty Python"
(12-03-2016, 05:10 PM)Fat_Jay Wrote: Unfortunately Intel has always pioneered the CPU market, to the point that most other compiditors who only did CPU development eiher went belly up or got bougt out and project we shut down or scaled out of the market, Yet AMD has always managed to be there all the way, but the also do a large variaty of other modules. Would you believe me that AMD did one-up Intel before? There were actually 1 successful time and 1 "failed" time that AMD has one-upped Intel. The successful time was when P4(Pentium 4) failed. The latter being the time when AMD released the x64 architecture. Yes I agree. Though im an AMD user right now, im still planning in the future to change into intel. Since i got AMD because my budget before was not enough. Well im still satisfied with my fx chip, so maybe changing into intel would take me a lot of time. Fan of Nvidia recently i bought a iBUYPOWER game tower , to be honest i was looking for the NVIDIA version but since was out i got my RX 480 version of AMD , run smooth they have a very good support simmilar to Nvidia , not any problem this period i use it , just i am not sure i have the impression that AMD get more no compitible programms /games than Nvidia. (12-09-2016, 02:02 AM)AlexanderSroider Wrote: Fan of Nvidia recently i bought a iBUYPOWER game tower , to be honest i was looking for the NVIDIA version but since was out i got my RX 480 version of AMD , run smooth they have a very good support simmilar to Nvidia , not any problem this period i use it , just i am not sure i have the impression that AMD get more no compitible programms /games than Nvidia. You're posting about GPUs on a CPU topic, in case you didn't notice. This is Capt. Obvious reporting. Intel is better but u need to check about AMD ZEN. Maybe the Prices will change. Anytime i would prefer AMD over Intel.